The impressive Chateau Ducru-Beaucaillou sits on the banks of the Gironde Estuary in the appellation of Saint-Julien. The 245 hectare estate, with 100 hectares planted with vines, has been owned and operated by the Borie family, who resides at the estate, for over 60 years. Ducru-Beacaillou's unique name is derived from the "beau caillou", French for "beautiful stones" which are abundant in the soils of the estate. 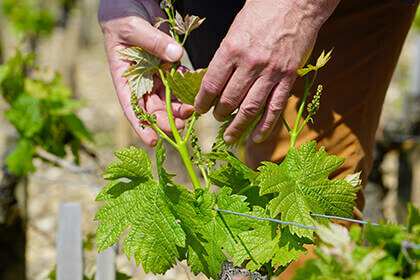 The Gironde has moderating effect on the climate of the estate creating milder winters and cooler summers, which allows the grapes to have a more homgeneous growing season that favours the production of a "grand vin". Château Ducru-Beaucaillou perches itself in the centre of a century-old park with the most breath-taking views of the Gironde estuary below it. The sublime scenery matches the splendour of the Victorian-style château that has become one of the most notable symbols of fine wine in the Médoc. This estate is one of the fifteen Deuxième Crus (Second Growths) from the original Bordeaux Wine Official Classification of 1855, and its unique pebbled terroir gives wines of exquisite elegance and refinement – wines that serve as a benchmark for those from the Saint Julien appellation. 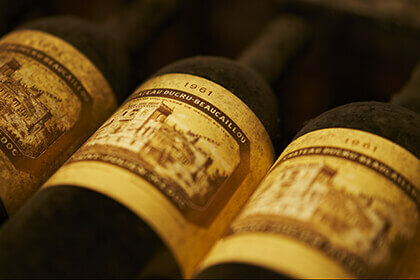 Château Ducru-Beaucaillou has its beginnings back in the thirteenth century, but its history is more clearly traced from 1720 – the year the Bergeron family purchased the estate as Château Beaucaillou, named after its gravelly terroir of “beautiful stones”. 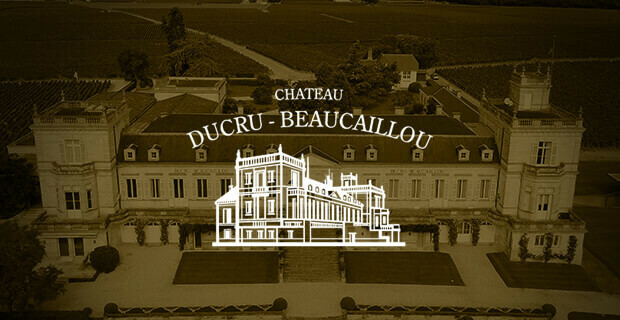 Following the French Revolution, Bertrand Ducru bought the property in 1795, and added his own name to the estate’s title to make it Château Ducru-Beaucaillou. He commissioned the Parisian architect Paul Abadie to renovate the existing château structure, and invested on improvements in the vineyard and the cellar. The Ducru family were still in charge of the estate when it was named a Second Growth, and got to celebrate its 1855 success. Almost a decade later in 1866, Nathaniel Johnston, a descendent of Irish immigrants, and his wife Lucie-Caroline Dassier took over the estate. Johnston divided his time between running the village of Saint Julien as its mayor and taking care of his vineyards. The vine diseases that were affecting his vineyards and the rest of the Médoc in the late nineteenth century intrigued him to such an extent that he experimented with various solutions to cure them. With help from his vineyard manager Ernest David, he came up with the copper-based “Bordeaux Mixture” to save his vines from mildew – a treatment that is still saving many Bordeaux vines. Johnston fell on sad times with the passing of his wife soon after his discovery, but he later remarried to Princess Marie Caradja of Constantinople. Under her reign, the château went through a complete redesign with the addition of a Victorian tower and wings, as well as the surrounding park with all of its rare and exotic plants and trees. Unfortunately, their time at the renovated estate was short-lived since the 1929 financial crisis forced them to sell the property to the Desbarats family. After only twelve vintages, they sold the château in 1941 to Francis Borie, a wine merchant and owner of several vines in the neighbouring Pauillac appellation. 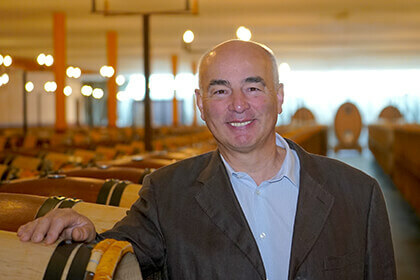 Bruno Borie now heads the estate, who is the grandson of Francis and the third generation of his family at the help of the château. The Ducru-Beaucaillou 75-hectare vineyard starts at 800 m from the estuary and extends to the west where it then reaches a height of 16 metres above sea level. This provides excellent drainage for the vineyard since it allows rainwater to flow naturally into the Gironde River. This close proximity to the river also means the estate is less at risk for spring frosts. For it was the river that shielded the estate’s vineyards after the devastating frosts that hit the region in April 2017. The mighty Garonne countered those chilling air flows from the frosts with its warming flowing currents. As you stroll between the vines, you notice the large stony terroir. The gravelly soils have Günz pebbles that can be as large as 20 cm, and this mixture is about 6 to 8 m thick. These pebbles help with drainage and reflect the sun’s heat onto the grape bunches to help with ripening. They also store daytime heat and then release to keep the vines warm during chilly nights. Finally, the pebbles form a protective layer over the soil to retain moisture and to stop it from drying out during the hotter summer days. The grape varieties reflects the terroir that surrounds Château Ducru-Beaucaillou, so it’s no surprise that Cabernet Sauvignon makes up 70% of the vineyard since it adores those gravelly Médoc soils. The remaining vines consist of 25% Merlot and 5% Cabernet Franc. Keep in mind that the makeup of the estate blend varies from one vintage to the next depending on the growing season. The vines are reaching middle age, so they average about 35-years-old. The vineyard is quite crowded for the vines with a high planting density at 10,000 vines/ hectare, which is typical for many Bordeaux estates. The reason for keeping the vines so close to each other is to make them compete with each other over water and nutrients; and in this way, the vines have to tunnel deeper into the soil for nutrition. As a result, the vines don’t make as many grape bunches since they don’t have the nutrition, so those berries end up more concentrated in flavour and the final wine is more flavoursome, which is what you can expect from the estate’s wines, the Château Ducru-Beaucaillou and the Croix de Beaucaillou. When harvest time rolls around in September, plot-by-plot manual harvesting is used to pick each perfectly ripened bunch. Sorting actually takes places amongst the vines on small tables so that healthy and unhealthy grapes don’t end up mixed together. In the next five years, Borie aspires to manage the vines cluster by cluster with the use of GPS and electrode technology so that the vineyard team can track the growth, disease and sugar content of the berries! Like in the vineyard, the berry clusters are treated differently in winery depending on their terroir, yield and grape variety during fermentation. They go through a gentle extraction and fermentation at moderately warm temperatures. Malolactic fermentation takes place in the vats and then the wine is drained directly into barrels after vinification. For the Château Ducru-Beaucaillou, ageing takes place in French oak barrels with 50 to 80% of the wine in new barrels for 18 months. The estate’s other wine, the Croix de Beaucaillou, gets 12 months of ageing in 20 to 40% of new barrels. Vintage after vintage, the Château Ducru-Beaucaillou offers intensely concentrated flavours in which the purity of the fruit shines through in every glass. The ripe tannins and supple textures support a structure that is made for the ages and can be left in cellars for decades – features found only in the best of Bordeaux wines. The blend varies each year depending on the growing season, but you can expect it to be Cabernet Sauvignon-dominated with around 85% and the remaining 15% complemented with Merlot. As you peer into the depths of your glass, you notice a shimmering medium to deep garnet purple colour. The profoundly scented aromas overflow the glass to reveal floral and black fruit notes along with a warm spiciness. On the palate, the wine reveals a medium to full body with all of its anticipated firm, velvety tannins. True to its name, the terroir’s gravelly stoniness offers a minerality that extends to a lengthy finish. 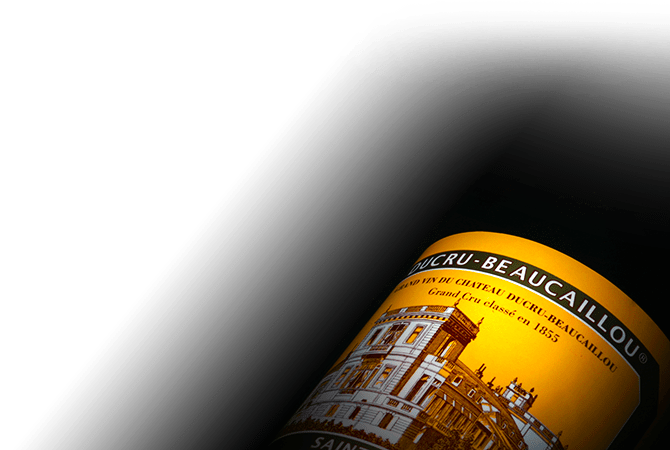 The Château Ducru-Beaucaillou is at is best with at least a decade of bottle age to bring out its full character, but this can vary slightly depending on the vintage. Young vintages have powerful tannins with a restrained character. However, they can still be enjoyed in their youth if they’re decanted for about three hours so that they can soften and open up their perfumed bouquets. Older vintages might need a little decanting so as to remove any sediment. Whether a younger or an older vintage, each one is a testament to its terroir and the power of Cabernet Sauvignon. Bruno Borie, the owner of Château Ducru-Beaucaillou, is not only passionate about his wines, but also for gourmet cuisine. Known for his love of cooking, he often opens the doors to his château kitchen for his clients and prepares gastronomic delights for them. It’s definitely not a surprise that he has partnered with the Périgord truffle maker Pierre-Jean Pebeyre so that he can adorn his recipes with those treasured truffles. More recently, Millésima and Borie are working together to offer food and wine pairings to highlight the estate’s outstanding wines. He’s created his own recipes that pair delightfully with both the Château Ducru-Beaucaillou and the Croix de Beaucaillou wines. Whatever the vintage from Château Ducru-Beaucaillou, each one tempts you with an unforgettable seductively charming tasting experience.